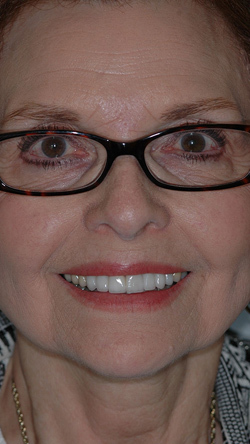 Young lady getting ready for 25th high school reunion desired improved smile. 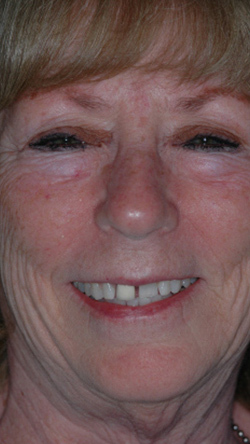 After restoring 4 upper and 2 lower teeth with porcelain she was able to smile like her high school years. This is a 10 year post op photo. By the way, she married her high school sweetheart after reuniting at her reunion! uniform smile with none of the older dark restorations showing. She is thrilled! This gentleman came to our office from out of state at the recommendation of his son. 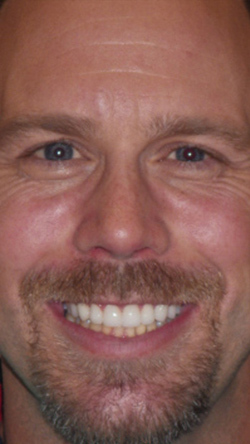 He is thrilled and more confident with his new smile, which provides a younger and healthy image. 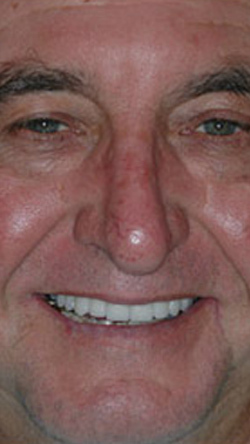 Pretty smile without restoring back teeth. One of our favorite patients. 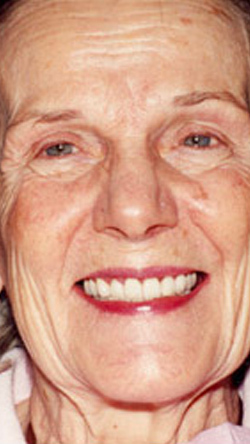 Her desire was to restore the smile of her youth without involving her back teeth. Handsome smile with strength for a strong bite. 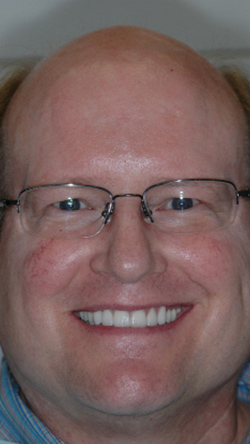 Kids are on their own and it was time for this friend of Dr. Keeter's to get a handsome smile with the strength to withstand strong grinding forces. He loves it! Vibrant personality with a new smile to match. Michelle's desire was to have a smile that reflected her outgoing personality. She has always smiled a lot but now she does it with more confidence. The smile I always wanted. 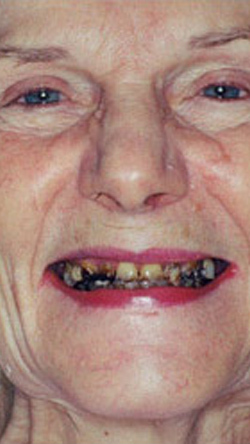 Sweet patient with teeth problems throughout life. 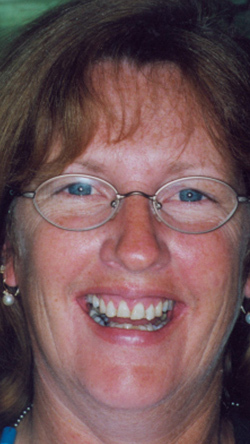 Her desire was a pretty smile without orthodontics or surgery. She can't keep herself from smiling now. 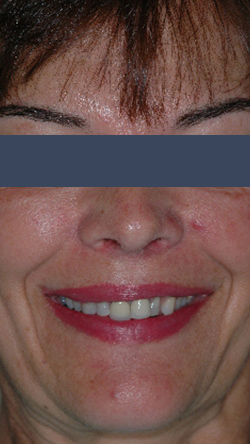 After picture is 16 years after initial treatment. 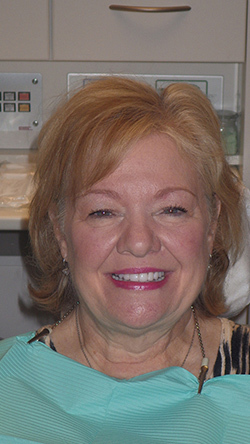 After completing cosmetic work on her daughter, this mom wanted us to restore her smile in a conservative fashion. 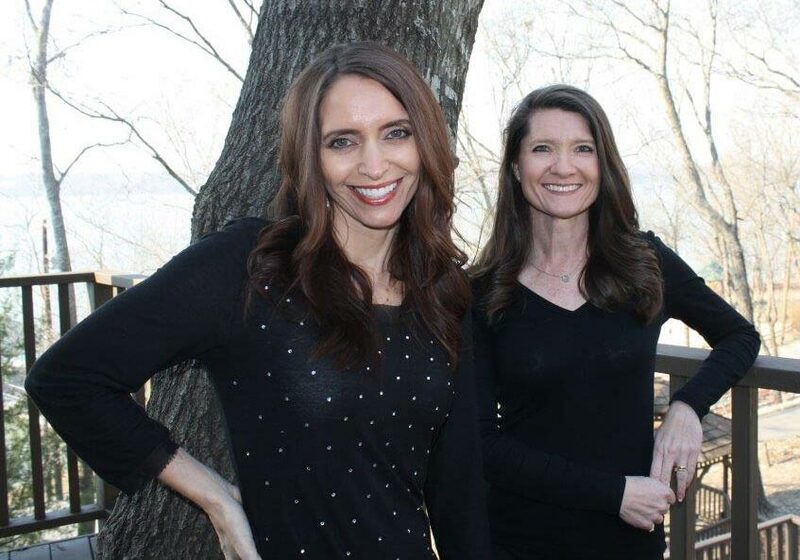 Mother and daughter both have radiant smiles! 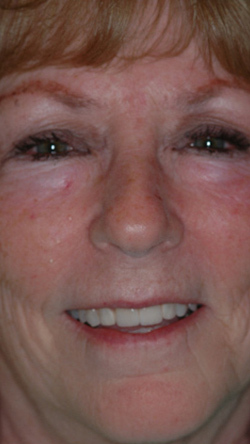 Closing space provides a more youthful, healthy appearance. I never liked my front teeth. Found us on the internet. He is glad he chose us after getting the smile he desired. 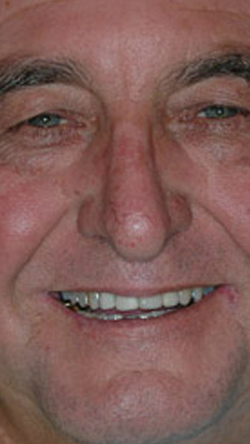 After retiring, this gentlemen wanted to have his old dental restorations and chipped teeth improved to provide the smile he wanted while spending time traveling and with family. 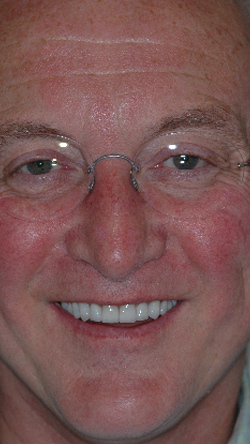 Thin teeth and a collapsed bite were the reason this gentleman requested a bigger smile with white teeth. He got it and loves to smile! This young gentleman was wearing away his teeth from grinding and some poor habits. Very specific with desires for his new smile. 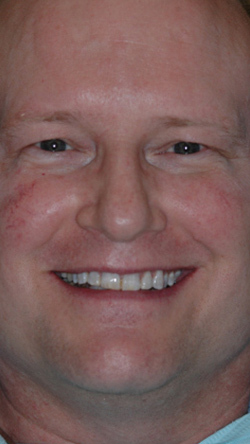 We were able to match photos of his dream smile to achieve results he was thrilled with. I want to show more teeth. Bright, uniform and natural was the request. She loves her smile! Young lady with her new radiant smile. Her desire was for a pretty, uniform smile. After a "gum lift" and placing porcelain on the front four teeth she is very pleased! "I don't show my teeth when I smile."............... Problem solved! "My smile was Ho Hum." 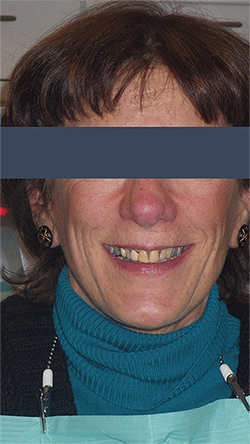 This patient never liked the shape and arrangement of her natural smile. She was very specific on her desires of shape and size. Loves to smile with confidence now! Complex case done with efficiency. What a transformation! Uneven bone growth, badly aligned teeth, and size discrepancy were the problem. Just a few months later and he had the smile he had always desired! 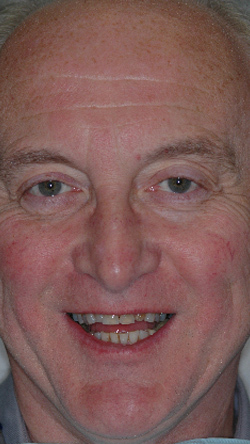 Missing teeth, decay and gum problems are addressed in this case with a few porcelain crowns and a secure, removable device. This lady loves to smile and travel!!! Previous front teeth were "slanted", short and yellow. 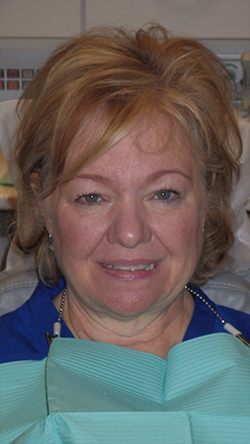 Patient now has the smile she dreamed of. 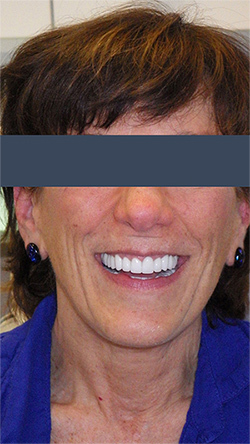 This patient did not like her crooked lower teeth, her uneven gum height and appearance of upper crowns she had with her previous dentist. 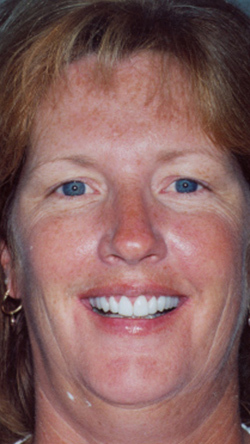 After Invisalign, some gum re-contouring and porcelain work She now loves to laugh and smile! My teeth make me feel old. 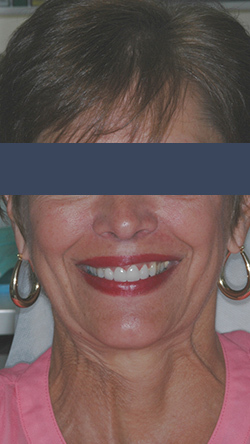 This patient desired a prettier, more youthful smile. She now feels she has found the smile she once had in younger years. I want to look successful. 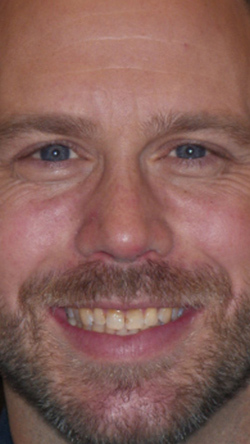 He did not like the shape, color or surface texture of his previous teeth. He now has the look he desired! Closing spaces with direct bonding and teeth whitening. I'm healthy again, inside and out. 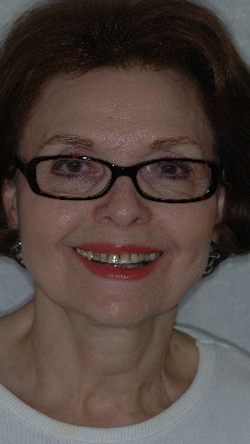 After years of neglect and health problems it was time to restore the smile of her youth, she started dating again in her 80's! !